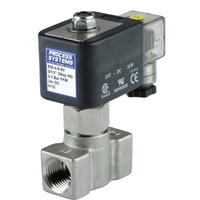 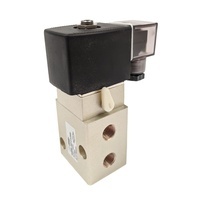 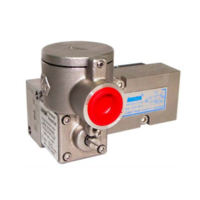 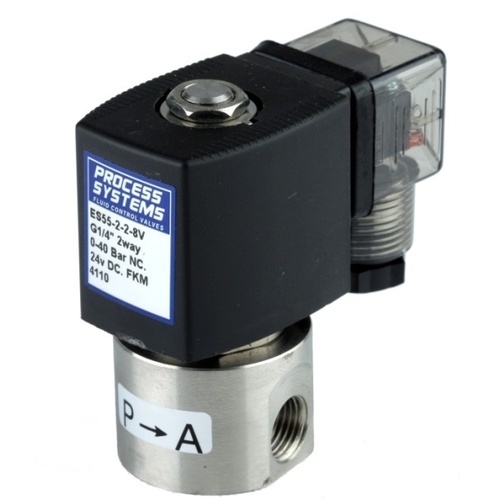 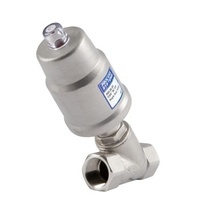 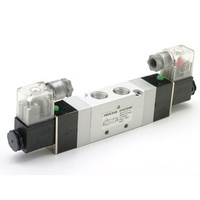 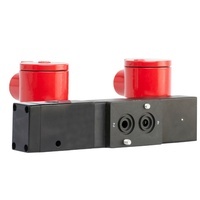 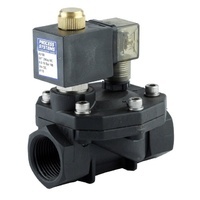 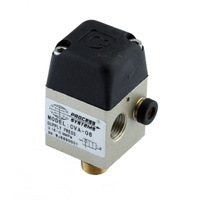 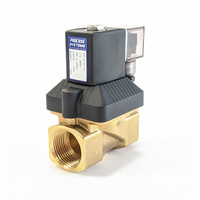 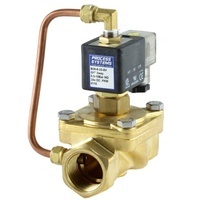 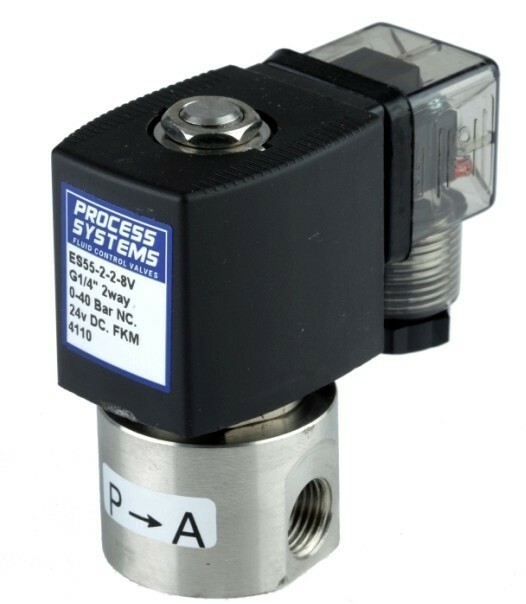 304 S.S 2 way 2 position normally closed direct acting solenoid valve.G1/8", 1mm orifice, 304 SS operator, copper shading ring, FKM seat.0-25 BAR pressure range, media temp -10°C to 100°C.Coil Class H insulation, 17 Watts, IP65 protection. 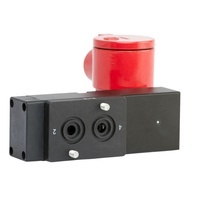 SC-N12 coil. 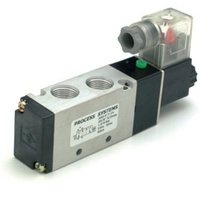 A normally closed (power to open) direct acting solenoid valve with a 304 Stainless Steel machined body and stainless steel operator. 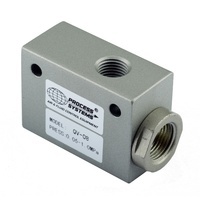 Suitable for low head and zero head applications with a Viton (FKM) seat. 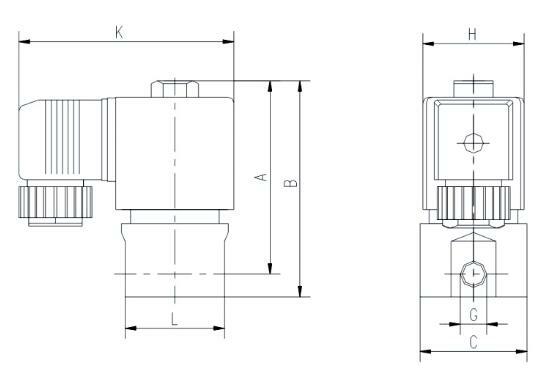 Liquids to 50 centistoke viscosity. 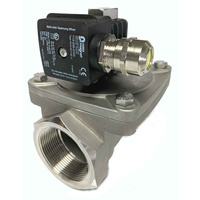 Standard coil is weatherproof to IP65 and has LED illuminated plug. 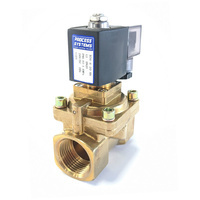 Typical Applications include tank drain, iodine dosing for dairies, chemicals and other general industry.